by Diane Logan, Culpeper Renaissance, Inc. In 1749, George Washington, age 17, was commissioned to survey and plot the town and county of Culpeper. 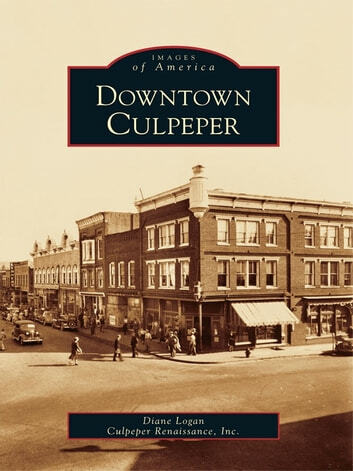 He recorded that the town occupied a �high and pleasant situation.� Incorporated in 1834, Culpeper prospered as a major trading and shipping point with the opening of a stagecoach route. The arrival of the railroad in 1853 spurred even more economic development and made Culpeper a strategic supply station for Confederate and Union troops. Occupied by both armies throughout the war, the Culpeper area witnessed more than 100 battles and skirmishes and received many Confederate and Union generals. Military headquarters were established here, with officers lodged in hotels and dining and entertaining downtown. Much of downtown Culpeper was built following the Civil War. The architectural character today reflects the 1888 building boom of High Victorian and Italianate styles. by Diane Logan,Culpeper Renaissance, Inc.